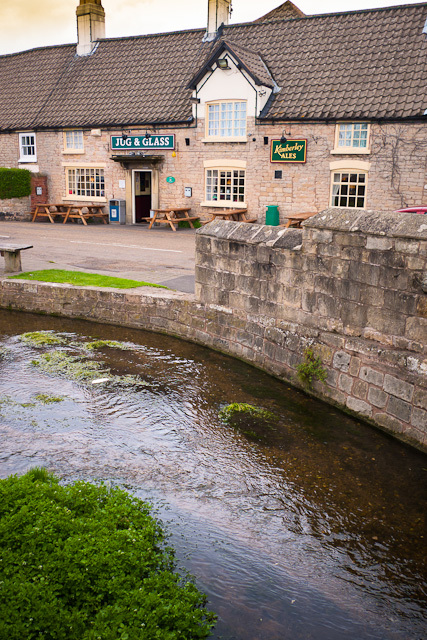 A nice pub at Cutthorpe on the way to Baslow in the Peak District. 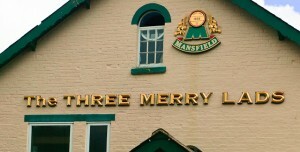 The name probably comes from the original owner having three sons. 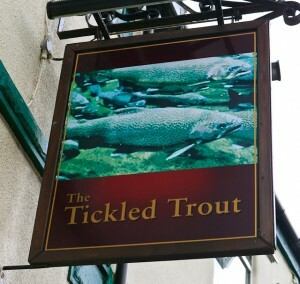 One of our favourite eating pubs in Derbyshire…The Tickled Trout at Barlow. Trout tickling is the art of rubbing the underbelly of a trout using fingers. If done properly, the trout will go into a trance-like state after a minute or so, and can then easily be thrown onto the nearest bit of dry land. The technique was a common practice used by boys, poachers and working men in times of economic stress, particularly during the 1930s depression-era. Poachers using the method required no nets, rods or lines or any other incriminating equipment if apprehended by the police or gamekeepers. The fish are watched working their way up the shallows and rapids. When they come to the shelter of a ledge or a rock it is their nature to slide under it and rest. The poacher sees the edge of a fin or the moving tail, or maybe he sees neither; instinct, however, tells him a fish ought to be there, so he takes the water very slowly and carefully and stands up near the spot. He then kneels on one knee and passes his hand, turned with fingers up, deftly under the rock until it comes in contact with the fish’s tail. Then he begins tickling with his forefinger, gradually running his hand along the fish’s belly further and further toward the head until it is under the gills. Then comes a quick grasp, a struggle, and the prize is wrenched out of his natural element, stunned with a blow on the head, and landed in the pocket of the poacher. 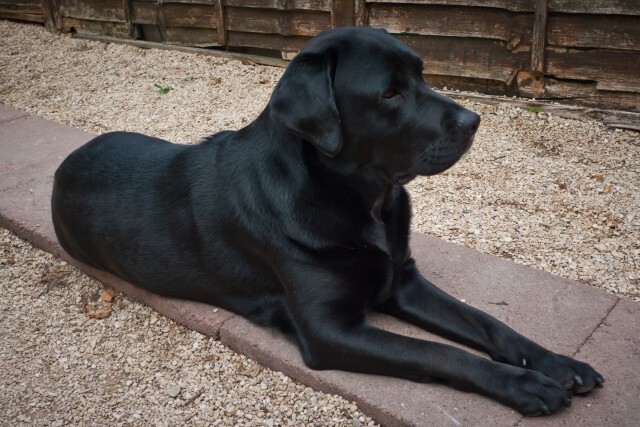 A very exciting journey today down to Wootton Bassett to meet the mum of our new puppies. The Curriers Arms is in a very busy and tight High Street, unfortunately now mainly known for the town where our brave soldiers killed in Iraq and Afghanistan are repatriated. Thankfully today was quiet. The Curriers Arms is an extremely old building – so old that no records exist to confirm when it was built. 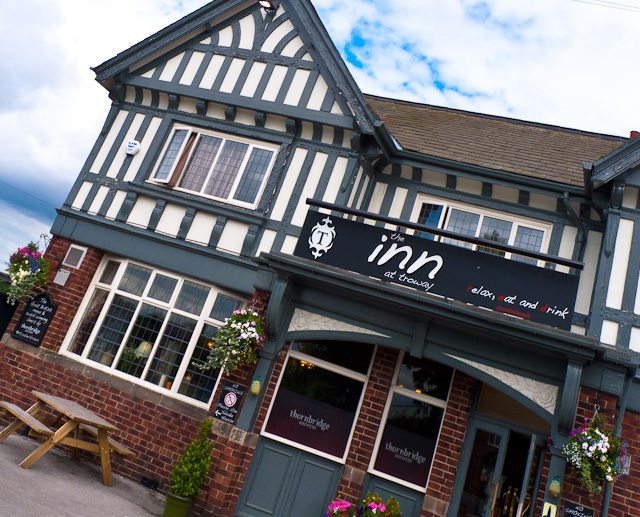 But we at least know that it was called The New Inn before it received its present name. Like many pubs in the 19th century, The Curriers Arms was a home brew pub, but, unusually, it was mineral waters that were produced on the premises, not beer. In 1894 The Curriers Arms was owned by the short-lived Beaufort Brewery in Wootton Bassett and from 1897 to 1951 it was the property of the Osborne Brewery of Yeovil. 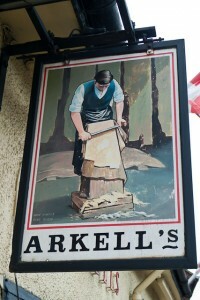 It then passed to Arkell’s who extensively modernised it in 1953 – presumably to the liking of the pub’s resident ghost. 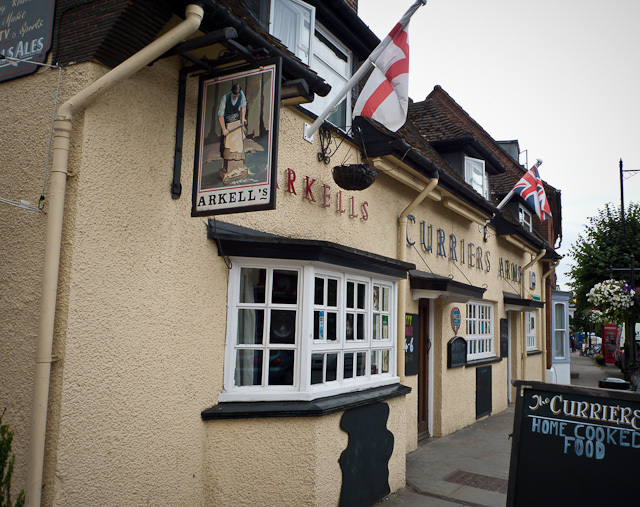 The Curriers is one of several Arkell’s pubs whose landlords are convinced it is haunted. …and for those who want to see her…..
A day dodging the heavy rain and my first serious cycle ride since the knee op. 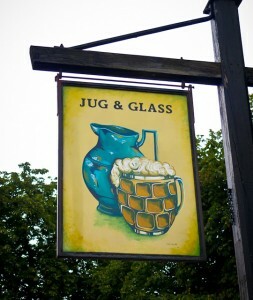 The pretty Jug and Glass Inn at Nether Langwith was a pleasant place to pause. 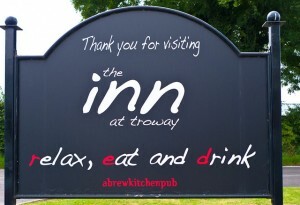 Our favourite pub at present is the Inn at Troway. An unashamed ‘gastro-pub’. 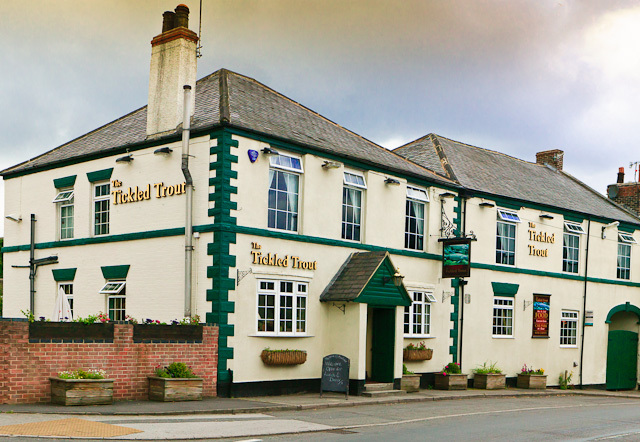 It offers great pub classics and they have a real passion for locally produced food. 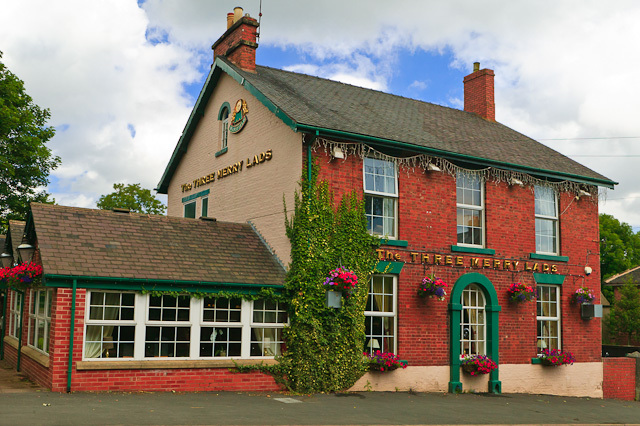 Run by Richard Smith a multi-award-winning chef and restaurateur. The quality of his cooking has earned him some of the industry’s highest awards and accolades, including the New York Times Rising Star Award, the Northern Chef of the Year Award and the Catey Award for Restaurant of the Year. He can do a stunning fish & chips. We are such frequent visitors we get a discount! For the final pub I’ve gone back to our village. 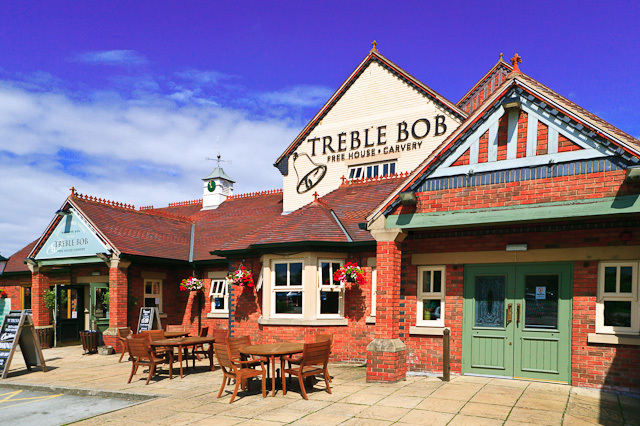 The Treble Bob : This was the first new pub in Barlborough for over 100 years, opened in 1998 at Barlborough Links. The name was derived from a bell-ringing method used at Barlborough St. James Church in 1928 to commemorate the coming of age of Stella, daughter of the last private owner of Barlborough Hall, Godfrey Locker-Lampson M.P. A new theme for the week ‘Liquid in Motion‘. I was going to do ‘water in motion’, but ‘liquid’ gives a little bit of leeway. Today is a bit of fun with a hosepipe. 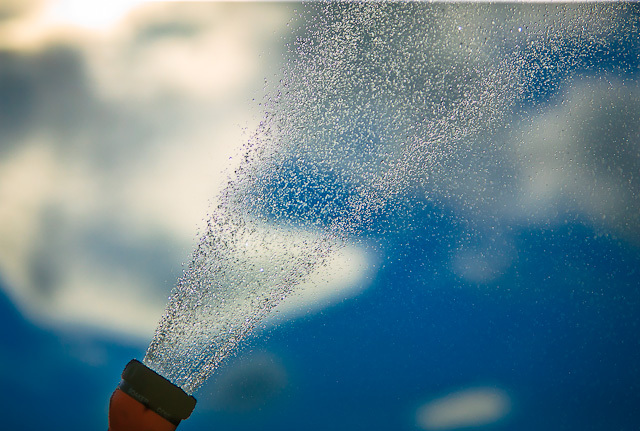 Kairen wasn’t impressed as she was holding the sprayhead and kept whinging that she was getting wet. You just can’t get staff these days! !